Do you have this natural painkiller growing in your back yard? 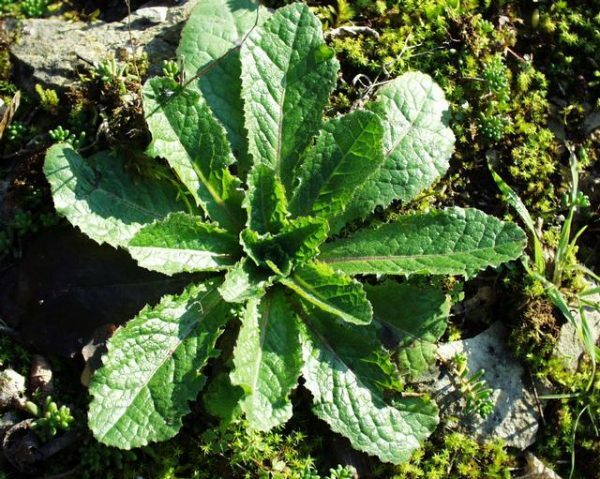 (Natural News) Known as the “poor man’s opium”, wild lettuce is an excellent and natural painkiller. Lactuca Virosa can be used as an alternative to traditional and often addictive prescription painkillers. The power of this vegetable – a cousin to the lettuce we buy at the grocery store – is found in the white substance produced in its leaves and stem. The Latin prefix “lac” means milk, and is meant to describe the plant’s bitter white sap. The sap has sedative and pain-relieving effects. The active compounds found in the substance are comparable to the distilled synthetic versions in prescription medicine. One study claimed that a mere 30 mg/kg dose of lactucopicrin – the active ingredient in wild lettuce – is similar to a 60 mg/kg dose of ibuprofen. The compounds found in the lactucarium work in the way morphine does, directly impacting the central nervous system (CNS), blunting its ability to feel pain. The pain-relieving properties of wild lettuce were already being utilized as early as the 19th century, however, it was only during the 1970s that it gained popularity. The call for more natural remedies made us look to our own backyards for a solution. There are two popular ways of enjoying wild lettuce. The first is to cook the plant in a sugar-water mix until it reaches a syrup-like consistency; the solution is then drunk as medicine. This has been found to be quite effective, although the bitter taste remains. The more popular option is to dry the stem and leaves and drink it as a herbal tea. Dried wild lettuce stems can also be smoked or vaporized. Wild lettuce is often overlooked because of its weed-like appearance. Still, several studies point to the numerous health benefits of the plant. This herbal medicine is used to alleviate symptoms of asthma and cough. Wild lettuce is an antitussive. Studies have also found that people with asthma respond better to the wild lettuce treatment than to opiates. This is because patients tend to undergo an opiate withdrawal which can be more challenging than their actual condition. You can also use wild lettuce to help with your insomnia. The pain-relieving qualities of the plant aid in relaxing the body. Research suggests that the plant induces a euphoric feeling and does not have the negative side-effects associated with sleeping aids. The sedative properties of wild lettuce make it ideal for people with mild anxiety. One study claimed that it can help those with restless leg syndrome. The plant is a recommended remedy for people who suffer from severe migraines. Women, in particular, are recommended to take a few leaves of the plant to alleviate the acute pain they may feel during their menstrual cycle. Pain is a major public health problem. In America, between $560 billion and $635 billion is spent on pain treatment annually; this translates to each American spending around $2,000 just for pain relief. The National Academy’s Institute of Medicine notes that 100 million Americans currently suffer from chronic pain. That pain can be debilitating, with a reported 42 million people saying that the physical discomfort has prevented them from getting adequate sleep or performing daily tasks. The usual go-to solution would be prescription medicines which are chock-full of side-effects. However, superfoods can be found in your own backyard – as seen with wild lettuce. There are two caveats to note: Since wild lettuce manipulates the function of the central nervous system, it should not be taken for at least two weeks prior to any major surgery. Additionally, one study concluded that several people had adverse allergic reactions to the plant. Learn more about medical preparedness at Preparedness.news.